Mark originally hails from the great state of Indiana having also lived a number years in Florida and Texas. 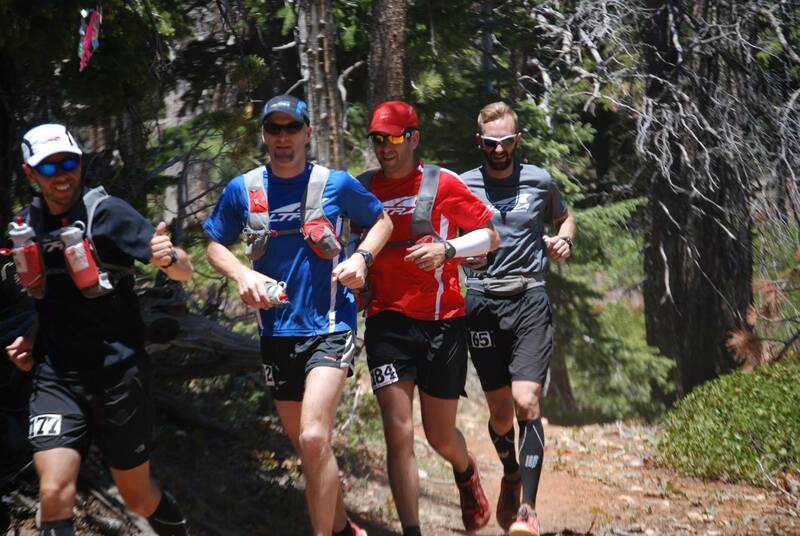 Now based in Salt Lake City, Mark gets to focus on his passion of trail running and ultra marathons. With Yamilet Nieto he started TrailAndUltraRunning.com. Mark now acts as Publisher for TAUR. He has competed in over 30 marathons & ultra marathons and has coached more than than 100 runners with Luke’s Locker in Dallas TX. Besides all things running, Mark enjoys spending time with friends, exploring Utah, talking care of his 14 year old dog, 16 year old cat and traveling. In 2011, Mark and Yami completed an 11 month 16,000 mile trip around the US… time spent sight seeing, running trails and racing. Craig Lloyd started running in January, 2009. His meager beginnings have grown to become a local ultra-running character. His love for adventure and silliness out-weighs his desire to race, although he finds time a few times a year to toe the line with the other crazies willing to sacrifice their time, body, and mind to the trail gods. Thanks to his background in rock climbing and peak-bagging, Craig tends to target routes that are only a ‘little scary’, but most often lead to the tops of mountains. 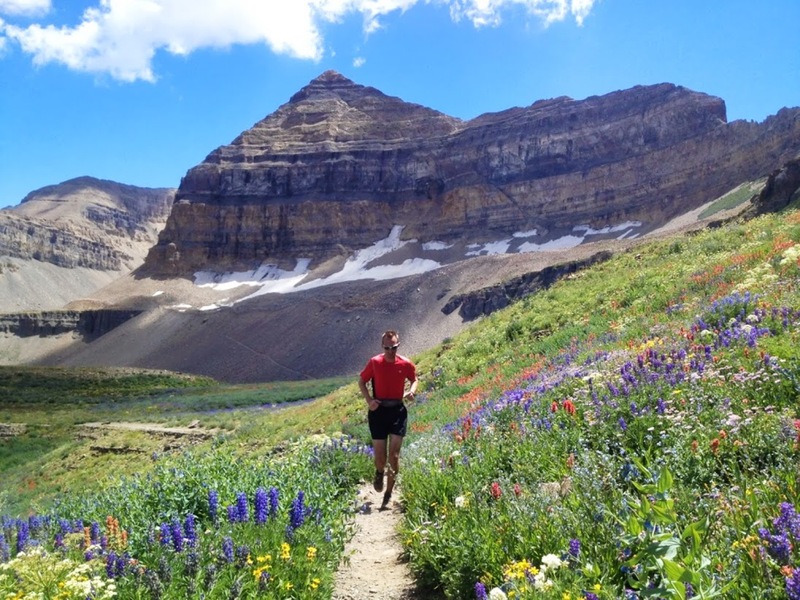 He is the current Fastest Known Time holder of the Utah Triple Crown – Utah’s three tallest peaks, first person to run the Zion Double Crossing, and winner of the 2011 Laramie 100. However, these feats pale in comparison to such achievements as – jumping over people downclimbing the crags at the 2009 Wahsatch Steeplechase, doing a backflip off of Mom’s Rock at Joe’s Valley, and eating an entire box of Otter Pops in a single sitting. Craig works for a national telecom company, but spends a great deal of time dedicated to TAUR and it’s community. When he’s not running or working he can be found playing with his four children or walking the slack-line in his backyard in Draper, UT. His wife thinks he is absolutely crazy but still manages to find a little love in her heart for him. You can read about his personal exploits on his blog – refuse2quit.com. Renee has been running off and on her whole life. Has now been running regularly since 2011 when she went from couch to half marathon, then 1st marathon in 2012, trail running & 2 50ks in 2013, 50 miles in 2014. Renee is a mother of three and is originally from California. She moved to Utah in 1999 to snowboard, and now enjoys the Wasatch Mountains year round. Jerry was born and raised in San Diego, California. After college and an enlistment in the US Marine Corps, Jerry began competing in endurance racing. Starting with short-course triathlons and road racing, Jerry eventually completed two Ironman triathlons and his first ultramarathon. In 2006, Jerry realized his true calling was mountain ultrarunning. Since then, Jerry has competed in over 35 ultras and marathons. Jerry practices a 100% plant-based, vegan, diet. He is a student of Bikram Yoga, Buddhism, and Shamanism. He openly shares the benefits of training hard physically with an emphasis on recovery through endurance nutrition and moving meditation. Jerry currently resides in Boulder, Colorado with his wife Jenifer and their son, Jalen. Matt spent his childhood exploring in the Wasatch Mountains in Utah, with many years also spent on the trails from the back of a horse. Only in the last few years did he realize the vast opportunities that actually running on the trails would afford. Matt enjoys adventure running as a way to see spectacular scenery, with an occasional race thrown in. Living in SLC, Utah gives easy access to some of the best trails in the country. He has the support of an amazing wife and two sons, who really give him something to run for, and not from! Matt is also part of the Refuse to Quit crew, whose exploits can be followed on Refuse2quit.com. TR came to ultra running via bike racing and triathlons. He spent 20-years in the cycling industry managing bike shops and then as a Product Manager for a bike company. While training for Ironman Louisville he realized the longer events better matched his endurance engine. TR lives and trains in Boulder, Colorado and can often be found running around Marshall Mesa and the surrounding trails with his wife Lisa. In his spare time he wrenches on bikes for local pros, listens to 80’s hair metal and searches for the perfect 4-legged running companion. Mirna is a born and bred New Yorker who currently resides in the North Georgia mountains (and yes, there are mountains in Georgia!) with her very handsome husband and increasingly sarcastic 5th grade boy. A classically trained musician, she teaches Spanish and choral music at a boarding school along with coaching both cross country and track. After many ups and downs, Emir started seriously running in 2011. 2013 meant the entrance into the ultrarunning scene which took his running to another level. Always looking for new challenges, his ultimate goal is to complete a 100 mile run in the next few years. When not running and working in IT Management, Emir juggles his time between 2 crazy kids and his lovely wife Amy, who is also an ultra runner. Emily Berriochoa has lived in the Boise, Idaho area since she was a kid. From high school to 2007, her relationship with running was frequently on the rocks. But when her baby girl was six months old, she got off the couch and started running again—for the last time. After shedding the baby weight, she ran her first marathon in 2008. But it was running the Big Horn trail 50k in 2009 that changed her life forever. Emily feels that trail ultra running is the bomb, and as part of Team Pearl iZUMi Mountain States, she has the opportunity to connect with lots of runners and share the love. Emily’s favorite races are 100 milers, and she is working to unravel the mysteries involved in the distance. Emily runs really slow but doesn’t lose sleep over it. For her, time spent on her local trails—Ridge to Rivers and Wilson Creek—is where it’s at. Emily and running partner Davina Jackson founded Pickled Feet Ultra Running in 2011 and currently direct three races for the company. When not race directing or running, Emily is a freelance designer and advocate for getting her kids (ages 6 and 10) out running. Vanessa (Runs) Rodriguez is an ultra endurance trail runner, freelance writer, and online editor. She has written for Ultra Running Magazine, Trail Running magazine, and Active.com. Vanessa loves the concept of running 100 miles, and hates being separated from her Kindle or her dog. Read her full bio, check out her articles, or follow her epic adventures at vanessaruns.com. Happy trails and ponytails! Pete grew up on the east coast and migrated his family out to Utah for the mountains. He combines his passions for the mountains with daily life as a teacher, husband and father. Pete has coached XC, lead wilderness and backcountry trips for adults and kids, taught Avalanche courses to students and lead group runs for years. Still relatively new, in comparison to many of the greats, Pete has completed the Wasatch 100, and numerous other ultra distances. His favorite distance is the 50k, but as age starts creeping closer he finds those top end speeds hard to maintain. Lara started running after a 20-year hiatus when it became apparent that her fat dog needed to lose about 20 pounds or die of a heart attack. She quickly upped her mileage and within a year was running 10k’s and then her first Half Marathon. Every Saturday morning she joined a group of women from her kids’ preschool and hit the trails. 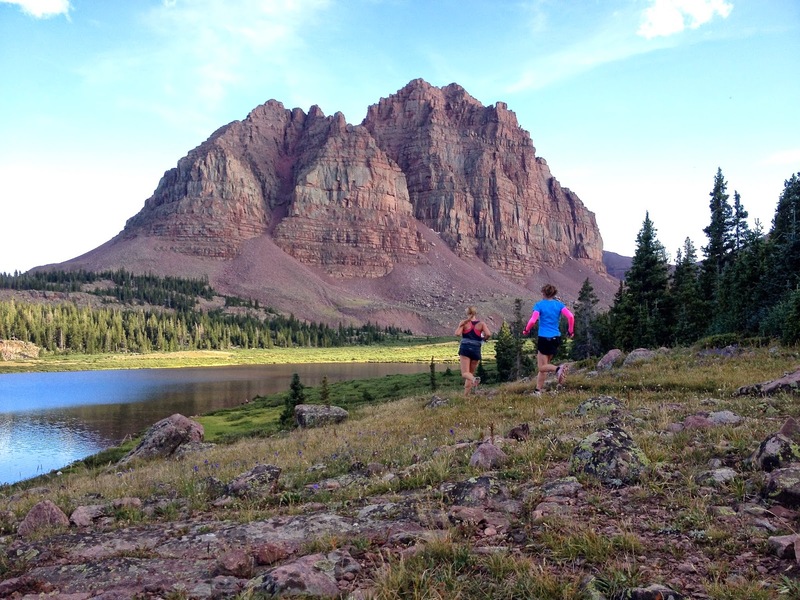 Running in the hills of Boulder captured her heart and she began to blog about her weekly runs. Within a few years her mileage had increased even more and in 2010 she ran her first marathon, followed 10 months later by her first Ultra. Now, she’s double-dipping and training simultaneously for Ultra trail races as well as Marathons, having figured out that both are possible as long as the trail running is there to heal muscles brutalized by road and speed work. Lara is a single mom raising her two kids in the Boulder area. She writes a blog called Saturday Morning Zen that originally started as a way to record her thoughts about trail running but that morphed into essays about running, trails, training, and the intersection of thoughts and life that happen when we least expect it. She’s the co-author of “Full Circle”, a book that’s still in production, and works as an Executive and Entrepreneurial Coach as well as a Project Manager. Yassine has a Bachelors of Science degree program in Physical Activity/Exercise from Portland State University. He and his family currently reside in Portland Oregon where he coaches, trains and runs Animal Athletics. His personal blog can be found at YassineDiboun.com and his Training / Tour company at AnimalAthleticsPDX.com . A native Arkansas, Elizabeth returned to the running scene after 8 years thanks in part to a local running clinic. She began running in Vibram FiveFingers at the same time and hasn’t put them down since. After finding 5Ks weren’t her speed, she happened to learn of a trail fun run…and the rest is history. Now most of her races are on the trail, and recently completed her first 50K. When she’s not running, you can find her slinging joe at the best local coffee shop in town, advocating for a cleaner, greener environment, or cuddling the other two members of her family – the cat and the husband, in that order! Running since the 3rd grade, Rebecca has been hooked on running from a young age. When running in high school, the idea of running longer than a 5k was absurd, but the fun and pain of long distances eventually lured her in. First, it was just marathons, but that wasn’t enough. Since then, she’s run a handful of marathons, 12 hour races, 24 hour races, a 50k, and a 100 miler, mostly through faking it ’till she makes it and learning from the amazing ultra community. Scott has been an avid mountain climber and peak bagger for over 20 years with a passion for the Wasatch Mountain range. He enjoys easy hikes with his family, tough mountaineering routes and long ultra adventure runs with friends. He relishes the quiet solitude of a solo summit as well as the laughs and incredible times he has with great friends on the trails. Scott also contributes to Refuse to Quit, and can be followed on Refuse2quit.com.